Fairfax County Police have identified the man killed after he was struck by an SUV while riding a bicycle on Monday as Andrew Greff Gooden, 38, of St. James, Jamaica. Gooden was a father of two with a new baby on the way, according to a Go Fund Me page set up for his wife, children and funeral expenses. Gooden moved to the area in 2014 and was employed a lifeguard and pool manager by Community Pool Services of Maryland, which provides lifeguards to local apartment and neighborhood pools. Police said Gooden was riding with another cyclist on Sunrise Valley Drive near Coppermine Road in unincorporated Herndon about 8 p.m. on Aug. 31. The cyclists were riding in the northbound right-hand lane. A 2014 Chevrolet Suburban SUV, driven by a 29-year-old Fairfax man, also traveling north on Sunrise Valley Drive, approached the bicycles from behind and struck Gooden, police said. 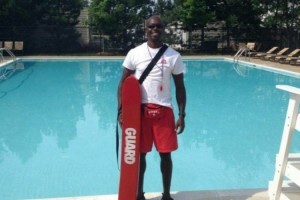 Gooden was taken to Reston Hospital Center, where he was pronounced dead later on Monday. The driver of the SUV remained on the scene. Speed and alcohol do not appear to be factors in this crash, police said. Police are still investigating the crash. Anyone with information regarding this crash is asked to contact Crime Solvers electronically by visiting www.fairfaxcrimesolvers.org or text-a-tip by texting “TIP187″ plus your message to CRIMES(274637)** or by calling 1-866-411-TIPS(8477), or call Fairfax County Police at703-691-2131 .